Pricing has one of the most important roles in convincing visitors to make a purchase or an order. 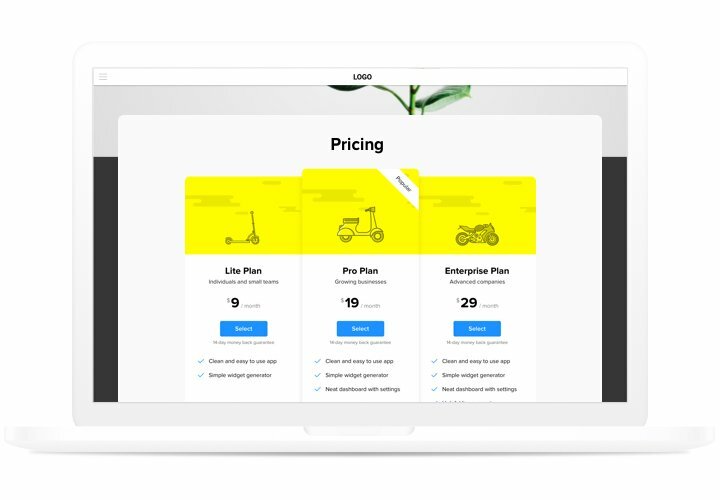 Our plugin not only enables shoppers of the website to see and compare several price options fast and easy. It also helps improve conversion by means of the freshest trends included into in design and templates options. Increase sales of your site tremendously, using advanced pricing. Let clients make a purchase journey till the end. Display most simply and efficiently the data, your future customers require and help them make the adequate decision. 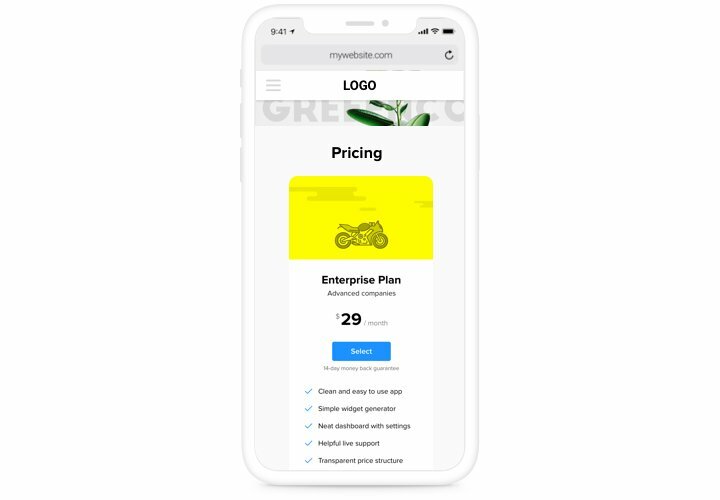 Due to a broad variety of settings, which let you configure various types of pricings in several steps, you will find the one that will be highly effective for your site. Give more details about your offers. 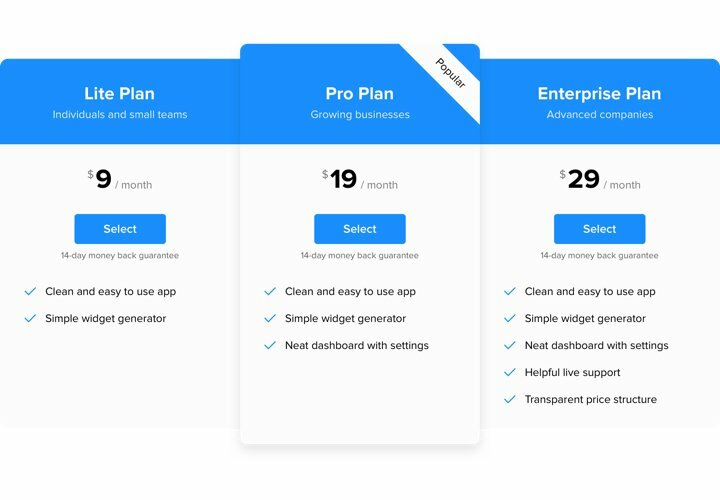 Describe all your pricing conditions and display the plans via a personalized plugin, so that customers could quickly see and analyze possible conditions. 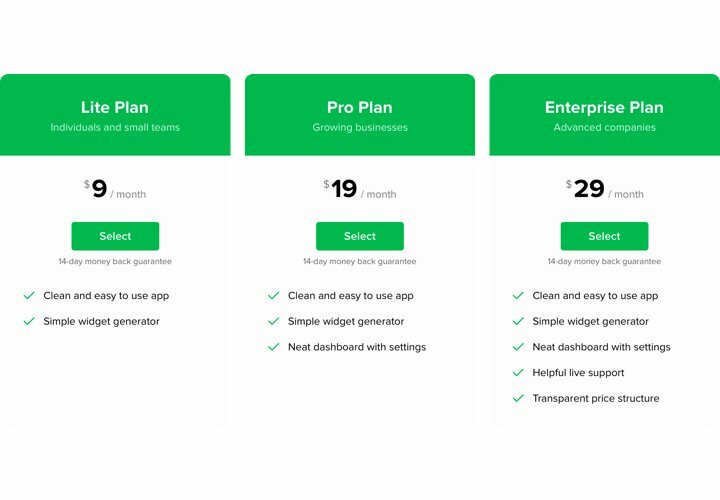 The benefits that make our plugin the best pricing table for Webnode websites. An instruction on setting up our plugin. To fulfill it, you will not need skills in programming and it won’t take a lot of time. Just several easy steps and 2 minutes. 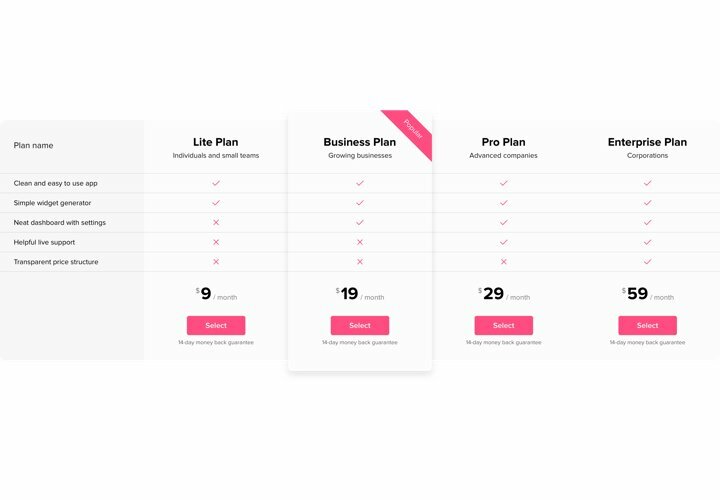 Create your custom Pricing Table. Using our free editor, assemble a plugin with preferable layout and functions. After widget configuring, receive the code for Pricing plugin from the appearing notification on Elfsight Apps. Embed the plugin on Webnode site. Integrate the plugin into the necessary place of the page and publish the edits. Experiencing queries with integration of the plugin? See our complete tutorial or contact our help center, and we’ll be happy to help. 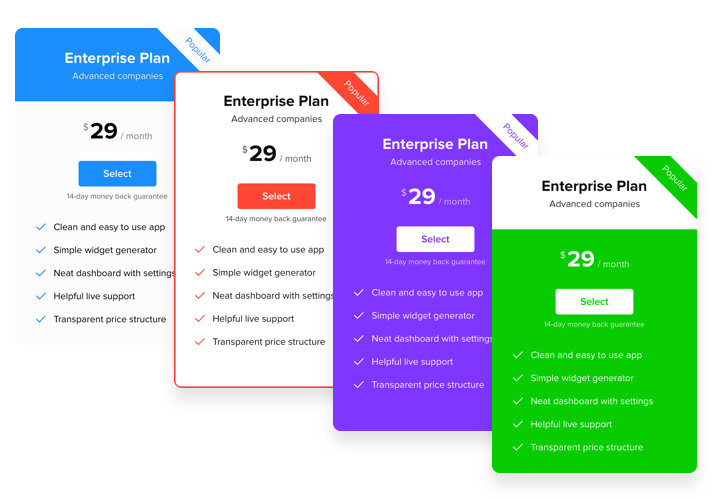 Built the best Pricing Table in just 1 minute!